When will be The [email protected] next episode air date? Is The [email protected] renewed or cancelled? Where to countdown The [email protected] air dates? Is The [email protected] worth watching? Only those who survive can make their debut as a girl group! The series follows the story of 11 girls as they fiercely compete and undergo vigorous training to become idol stars. Shin Hyuk drives through the rain and saves Su Ji at the last minute from being run over. 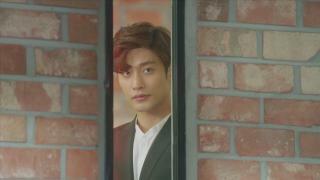 He ends up telling Su Ji the truth about Suah's death. Shin Hyuk is full of regret and Su Ji is shattered by his confession. The girls don't know what to think about all the rumors regarding Shin Hyuk and Su Ji. The scandal is spreading quickly and threatens the very existence of 825 Entertainment and Real Girls Project. Unable to get through to Ha Seo's grandfather, the girls return to 825. They start planning everything for their final mission, including Ha Seo's parts. Since they are unsure of whether this will be their last performance, Su Ji and Young Joo come up with an idea! The [email protected] next episode air date provides TVMaze for you. EpisoDate.com is your TV show guide to Countdown The [email protected] Episode Air Dates and to stay in touch with The [email protected] next episode Air Date and your others favorite TV Shows. Add the shows you like to a "Watchlist" and let the site take it from there.